It’s time to share the finished painting of Luna Rose, the second prize winner in my “More than a Pet, More than a Friend…Family” photo contest! Luna Rose’s photo was submitted by Lezli R.
This is the second-place prize-winning photo submitted by Lezli R. for our photo contest. 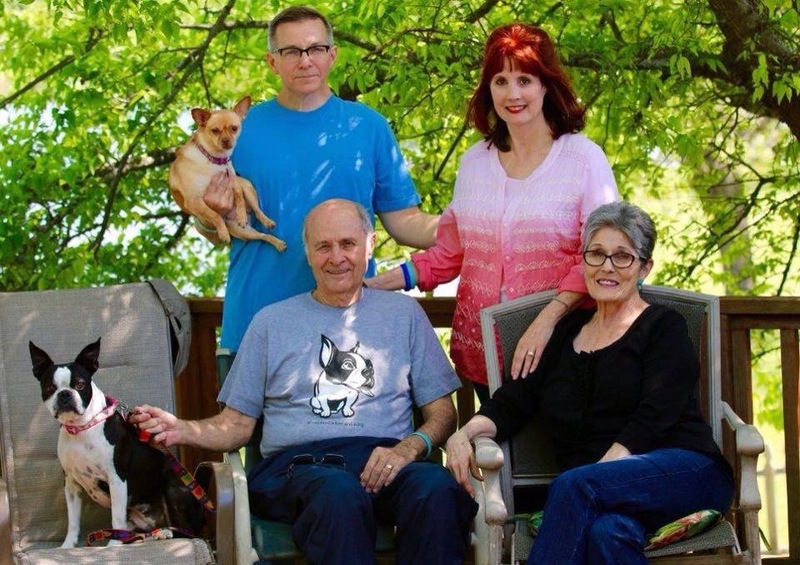 You can see Luna Rose occupies a place at the heart of Lezli’s family. 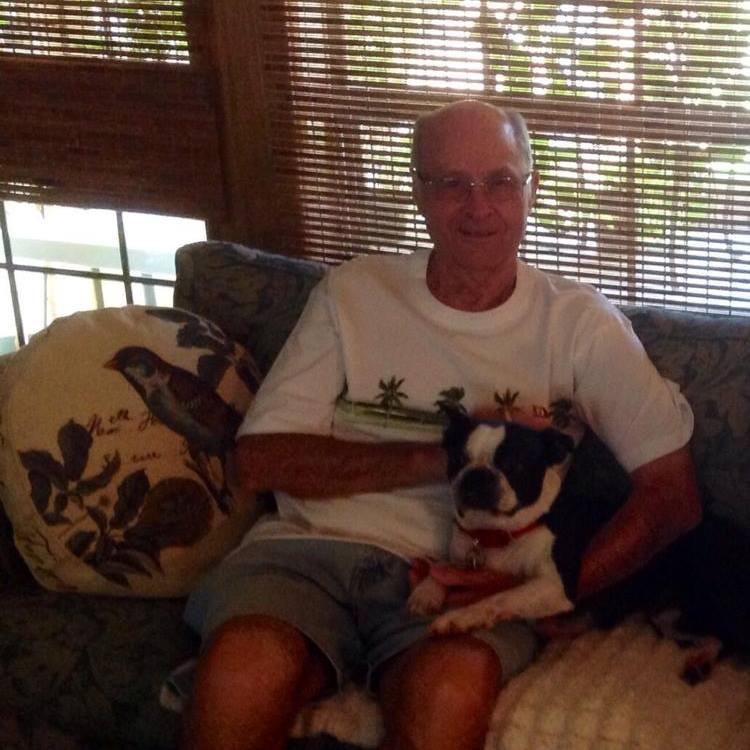 Luna Rose is a lovely Boston Terrier and, to make it even more special, she is a rescue. Luna Rose loves her tennis ball and is full of energy. As you can see below, her favorite tennis ball ended up in her portrait! 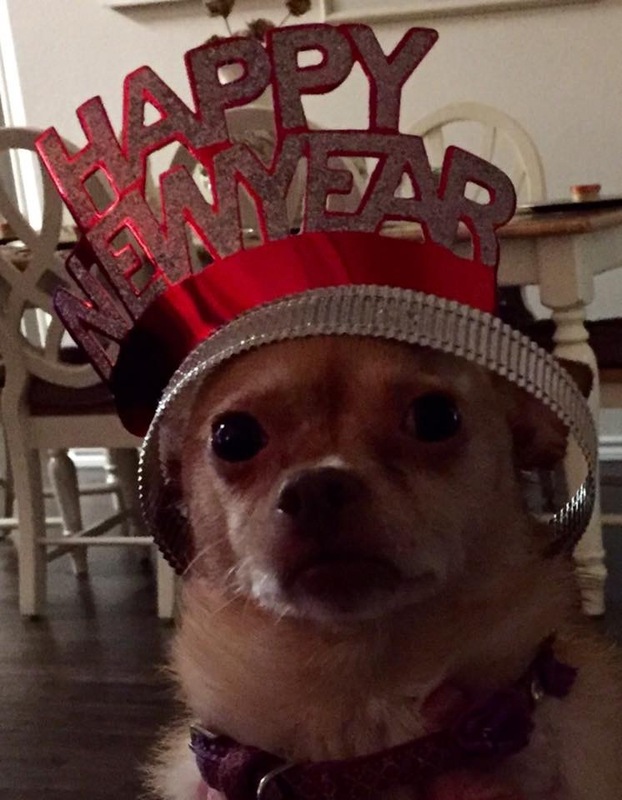 Luna Rose is also very unique in a completely different way. Apparently, she can detect when an individual is sick before they even know they are ill. According to Lezli, she has pointed out cancer in two different people before it was diagnosed. 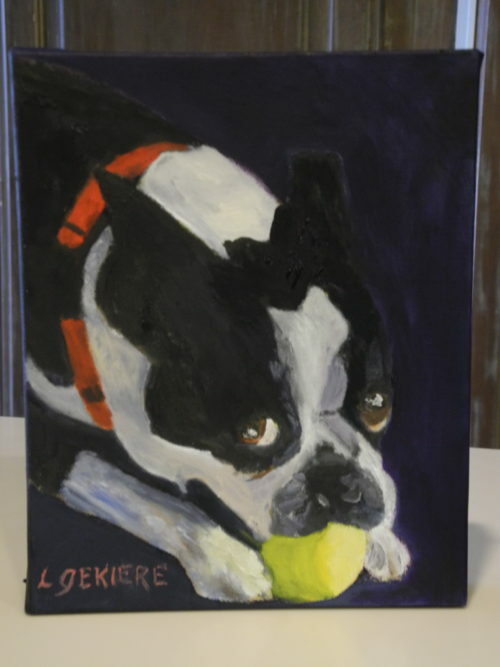 As you can see, I captured her in this custom oil painting with her beloved tennis ball. 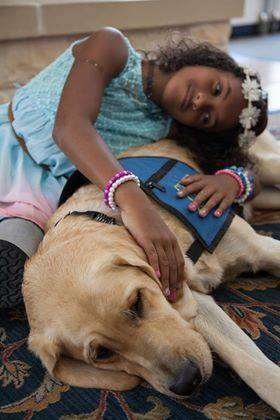 Lezli and Joy, pictured here, are both very active in animal rescue. 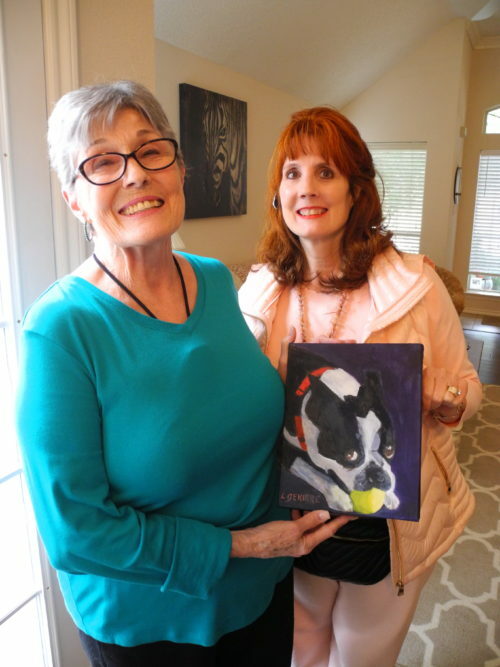 Lezli was extremely happy with her custom oil painting of Luna Rose. 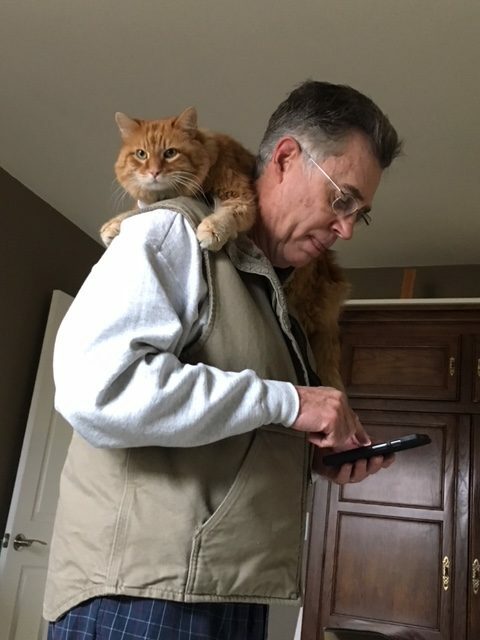 The “More than a Pet, More than a Friend…Family” contest here at “Larry Gekiere Artist”, in honor of National Pet Week, has concluded and I am happy to announce the winners. Just a reminder, if you subscribe to my newsletter, you will get a chance to participate in future contests! 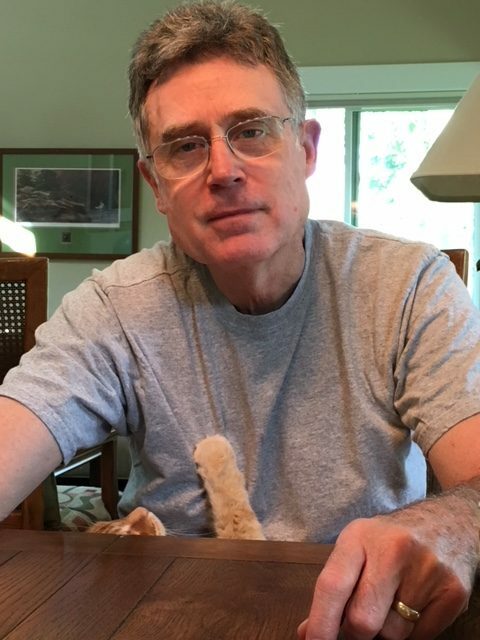 As I have said before, photographs are a very important aspect of my job in producing a hand-painted oil portrait of your pet, and I really enjoyed reviewing the photos entered in the contest. It was hard to actually select winners! Here are the winning entries for your enjoyment! 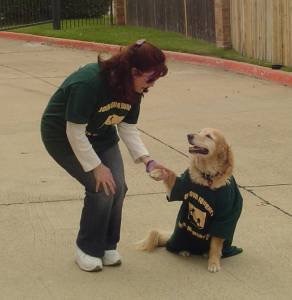 FIRST PLACE goes to Jill C., CEO of the Ronald McDonald House of Dallas, for her photo of Shiloh entertaining some of the children at the House. 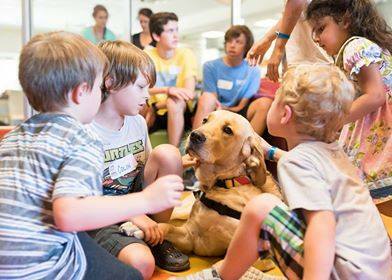 Great photo showing the way dogs can create a family. 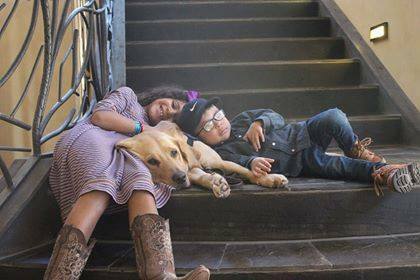 SECOND PLACE goes to Lezli R. for a lovely family portrait that not only includes her two fur children as beloved members of the family, but also manages to capture them all with their eyes open and on the camera! Great job! 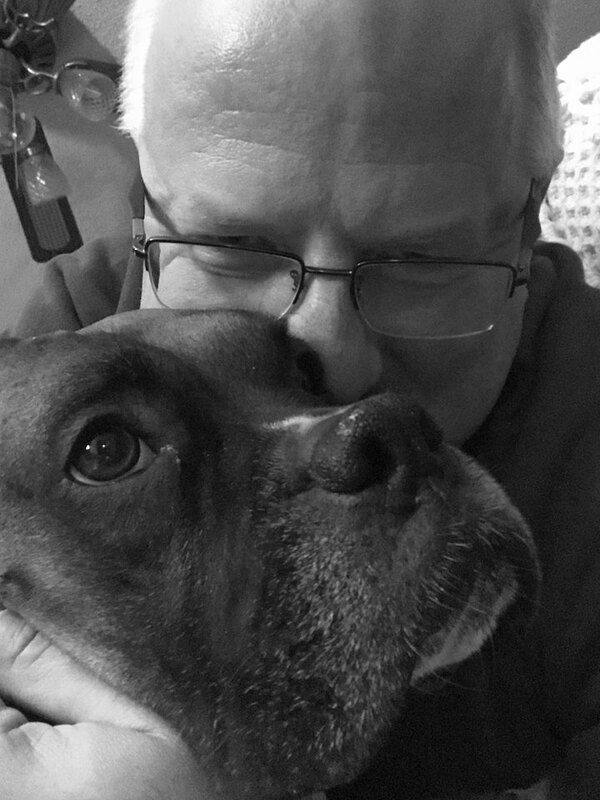 THIRD PLACE goes to Hal M., a volunteer at Legacy Boxer Rescue, for his great black and white “selfie” of his foster boxer Frodo and Frodo’s dad, Hal. Beautiful composition and I would love a chance to do a black and white painting! 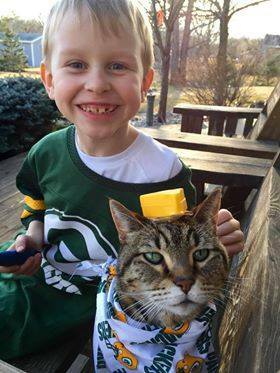 FIRST RUNNER UP goes to Lori M. for her comic shot of a family member who is apparently a cheesehead and a Green Bay fan with an adorable smile! 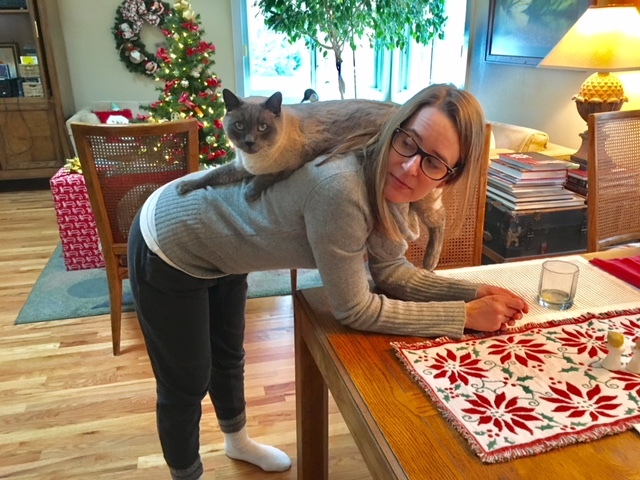 Patient cat in a great shot! Congratulations to the winners and a big thank you to everyone who entered the contest and to all my loyal newsletter subscribers! I will likely be sharing some of the paintings that I create for the winners here on the blog over the next few months, so stay tuned. And be sure to sign up for my newsletter so YOU get a chance to enter my contests when they happen! Just click here to sign up. Or sign up right on my Facebook page under Newsletter Signup or click on the graphic below! 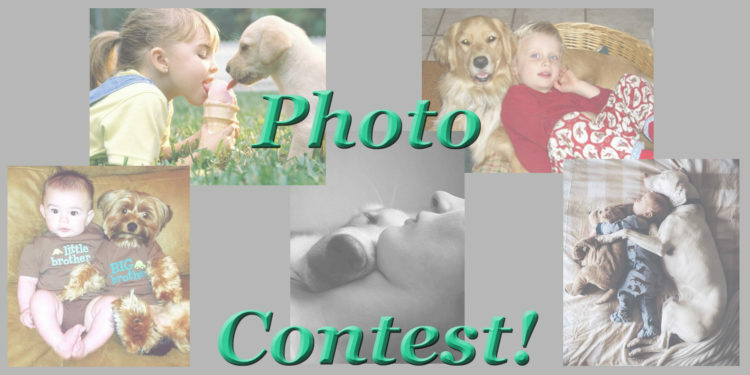 It’s SPRING and I’m having a CONTEST!! 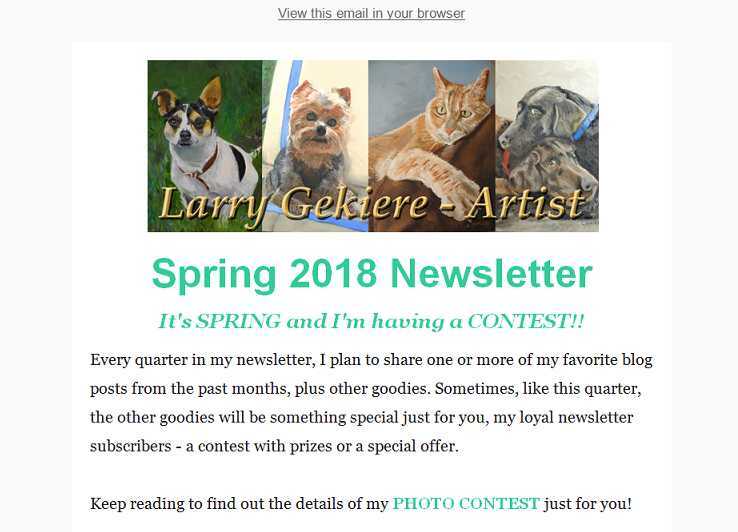 In honor of National Pet Week, “Larry Gekiere Artist” is holding a contest just for my newsletter subscribers. 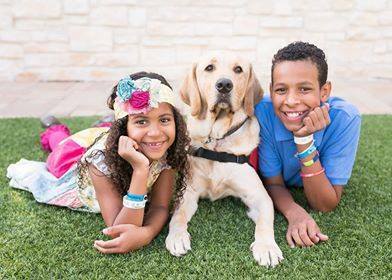 The theme of the contest is in keeping with the theme for next year’s National Pet Week – “More than a Pet, More than a Friend…Family”. 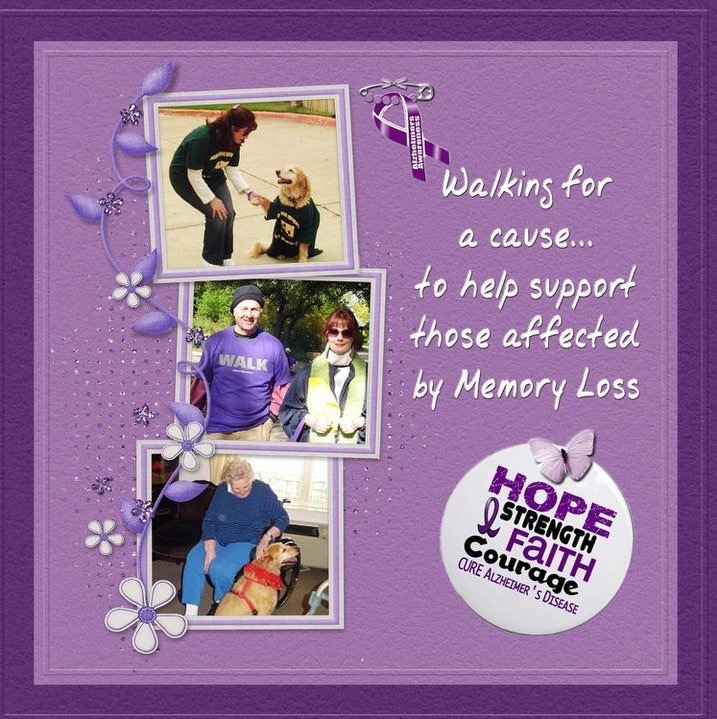 The contest runs through June 30th and the prizes are great! The exact rules and the list of prizes are detailed in my latest newsletter. If you haven’t signed up for my newsletter yet, click here or by clicking on the graphic for the contest below! Once you sign up, you will receive my latest newsletter detailing the contest. The winners will be announced in July on my blog and here on Facebook. Remember, if you want to enter the contest and you aren’t a newsletter subscriber, head over here to sign up. Or sign up right on my Facebook page under Newsletter Signup. You’ll receive the latest newsletter as soon as we receive your subscription. Newsletter subscribers entering the contest will be posting their entries in the contest in comments on my Facebook page, so check out the entries here and enjoy!